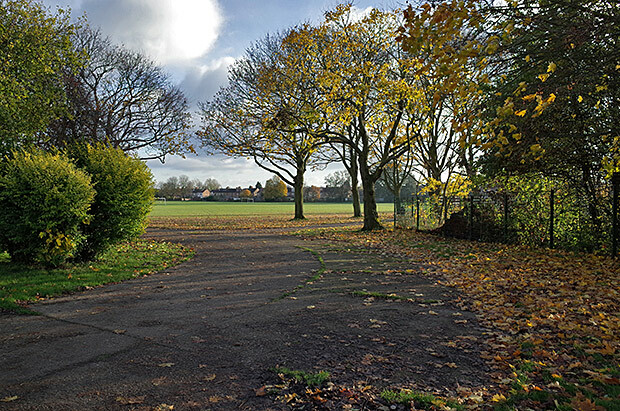 Containing numerous football, rugby and baseball pitches, Enfield’s King George’s Field can be found a short walk from Enfield railway station. 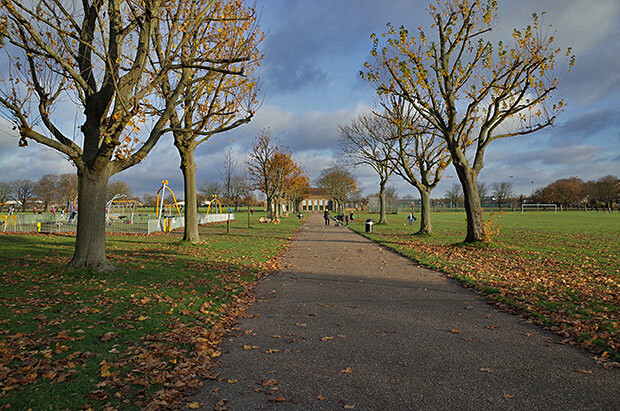 Named in memory of King George V, the playing fields include the Queen Elizabeth II athletics stadium and the curiously named Enfield Ignatians Rugby Club. The fields were used as a POW camp for Italians during World War II. 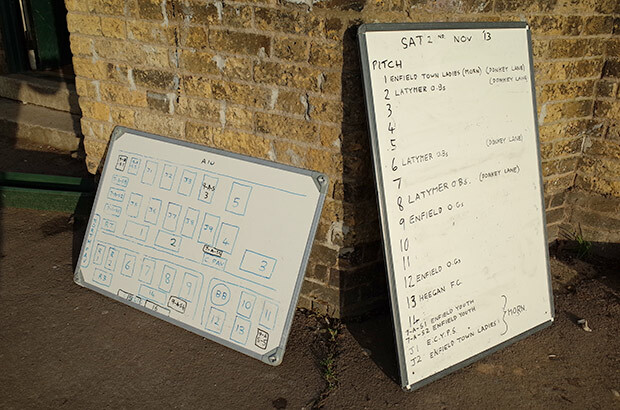 On any given Saturday, there’ll be a host of amateur football and rugby matches taking place. 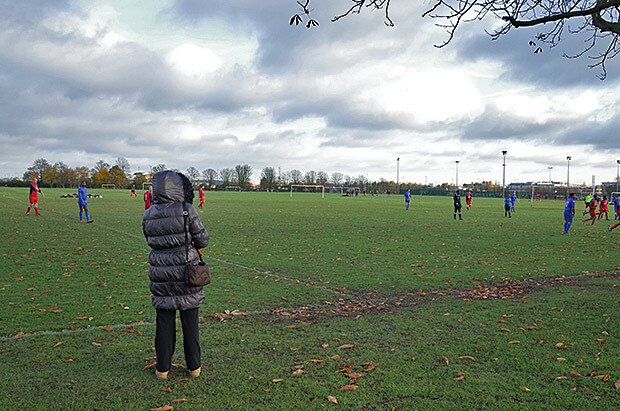 A lone spectator watches a game. 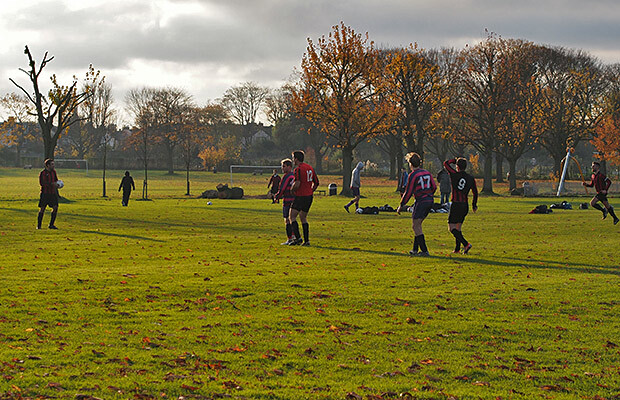 Football game in progress, with the winter sun casting long shadows over the leaf-strewn grass. 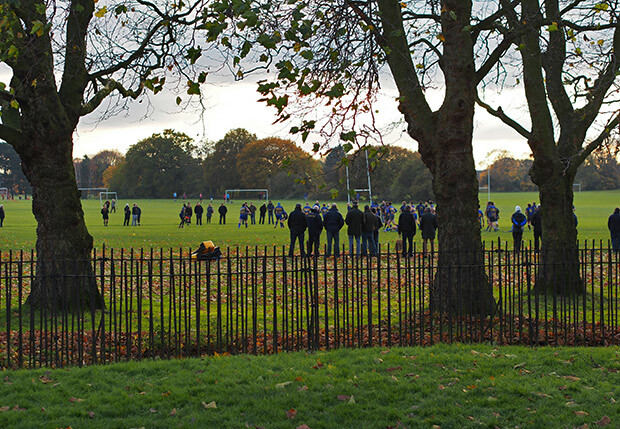 A modest crowd watches a rugby game in progress. 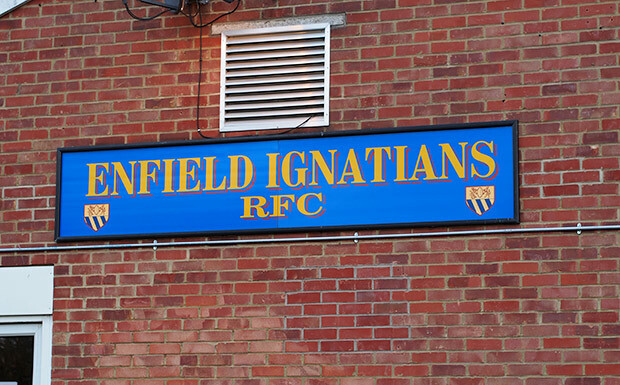 Founded in 1949 as Old Ignatians RFC, Enfield Ignatians RFC was originally for former pupils of St. Ignatius College. Open to all-comers from 1982, the club moved to Enfield playing fields at the same time, and currently plays in the London 2 North East league [Club website]. 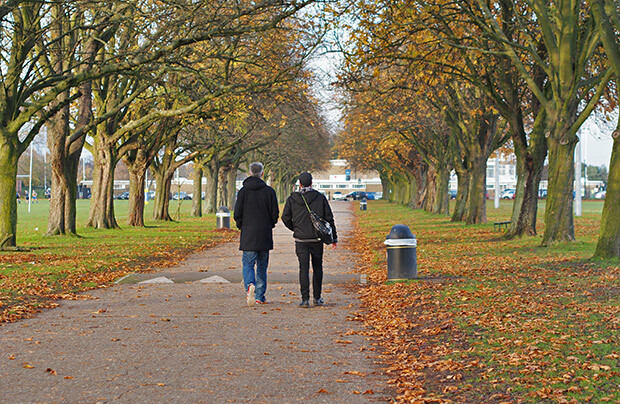 Walking to the Queen Elizabeth II athletics stadium, where the hosts Enfield Town FC were defeated by the mighty Dulwich Hamlet in a seven goal thriller. Match report here: Dulwich Hamlet triumph at the Art Deco splendidness of Enfield Town in 7 goal thriller. Dulwich Hamlet push for promotion in snow-battered win over Whitstable Dulwich Hamlet 3 Sittingbourne 1 – promotion pushing result cheered on by drunk Germans Dulwich Hamlet thump Walton Casuals 5-0 to go top of the league Dulwich Hamlet 1 Maidstone Utd 1 – honours even in top of the table clash Promotion is a heartbeat away as Dulwich Hamlet beat Crawley Down Gatwick 3-1 Hard luck Hamlet! 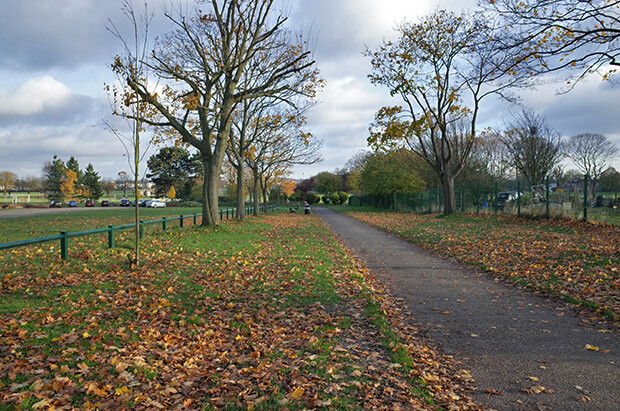 Dulwich Hamlet lose to Concord Rangers in Isthmian League Cup Final Dulwich Hamlet hammer out a win against a stubborn Chipstead in wind-blasted game Dulwich Hamlet clinch promotion after nail-biting draw with Burgess Hill – and Champion Hill goes wild! 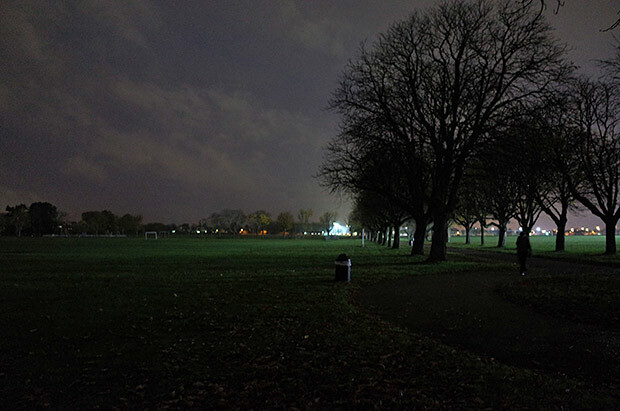 We are so very fortunate to have such a wonderful park/playing fields in our borough. 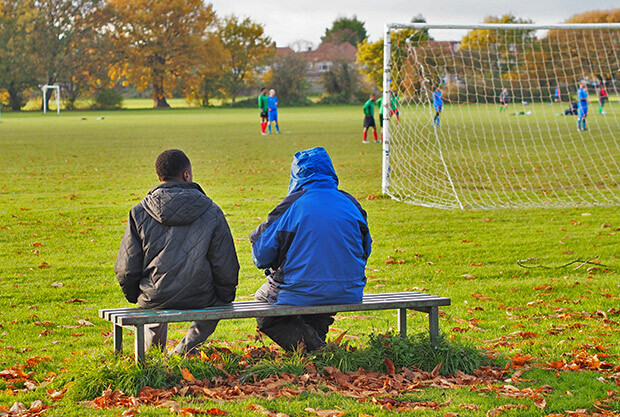 However, it’s so sad & disheartening to see the amount of empty water bottles & rubbish left by players after their games of rugby & football. Have a great game and enjoy yourselves but please clear up your rubbish before you leave. It is like that everywhere. We must cherish what we have and the nature itself. Hold your rubbish and throw it in a bin.